The National Low Income Housing Coalition recently ranked the most expensive metro areas and states for renters, and where D.C. falls in the mix may surprise you. When comparing metro areas [PDF], D.C. doesn’t even crack the top 10 — but it’s not far behind. The rankings were made by determining what a household would have to earn per hour in order to pay for a fair market, two-bedroom apartment (if only 30 percent of the income went to housing). Coming in at number 10 is California’s Oxnard-Thousand Oaks-Ventura, with a housing wage of $29.37. In D.C., it’s $28.10. D.C. does rank as the second-most expensive place to live when looking at the states’ rankings [PDF], but it’s an apples-and-oranges comparison. Take Maryland, for instance, which ranks as fourth most-expensive state for renters. It’s much cheaper to rent in parts of Maryland that are far away from D.C. and Baltimore, which helps to lower the housing wage ranking for the entire state. But even though the District isn’t the most expensive place for renters, it’s certainly far from being affordable for the majority of the population here; 68 percent of D.C. renters (55 percent of the total population) don’t make enough money to be able to afford the rents in town. If you make minimum wage, you’d have to work 136 hours a week to pay the fair market value for a two-bedroom apartment, which is $1,461. The situation continues to look bleak for those wanting an increase in affordable housing — Mayor Vincent Gray’s proposed budget leaves little money for initiatives such as affordable housing construction and renovation. 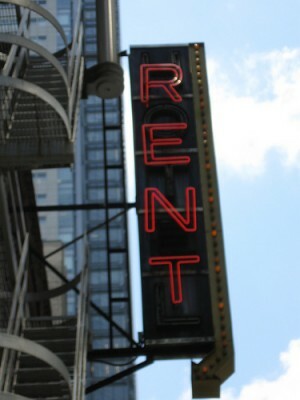 How Expensive Is D.C. For Renters?